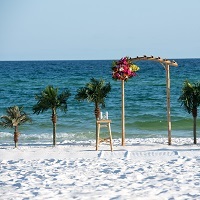 Add Six Silk Palm Trees to Any Ceremony Set up. *This selection includes trees only. Additional décor pictured must be requested separately.